How environmental practices trigger innovation. Why “greenwashing” makes for a cynical public. With a shift in consumer preferences toward products and services that are better for the environment, some companies today compete not only on product features and benefits but also on the environmental impact of their activities. These firms have the potential to revolutionize how business is carried out, says Professor Barnett. His research on competition among organizations and why firms win and lose found that industrial evolution is driven more by innovations developed in response to competitive threats than by explicit corporate strategies. Green businesses—particularly those cooperating with non-governmental environmental organizations or aligning their business models with government environmental policies—can steer their industries’ evolutionary path. And green companies that develop internal leaders at various levels of the organization can influence their supply chain’s business practices, further increasing their environmental impact. 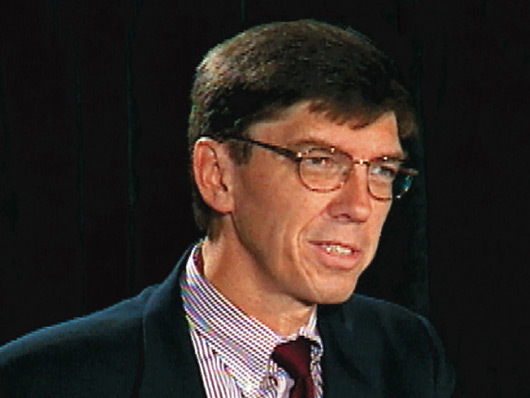 William Barnett is the Thomas M. Siebel Professor of Business Leadership, Strategy, and Organizations at the Graduate School of Business, Stanford University. He is also a Senior Fellow at the Woods Institute for the Environment at Stanford. He received his PhD in Business Administration from the University of California, Berkeley.